The 2016 Chevrolet Silverado 2500HD and 3500HD are the heavy-duty versions of Chevy's popular full-size truck. Available with stout powertrains including a diesel engine, the 2500 and 3500 Silverado series boast far more capability than a standard half-ton truck, but are still out-muscled by Ford and Ram rivals. Awesome truck, great power, tons of uses. Absolutely love this truck. The navigation screen is big enough to see everything. The truck site up very high. The interior is very spacious. Heated and cooled seats are a must. Suspension is great, rides smooth. Only thing I am not sure about is the tires. I can't tell if I like them or not, but I am expecting once they are all worn i'll get a different tire. Great power with great fuel economy. Very powerful, extremely comfortable on long trips and very safe with 4 wheel drive, and the diesel gets surprisingly great mileage. It is also quite good looking and looks very aggressive with big tires and power running boards. The interior is as nice as any luxury car as well. 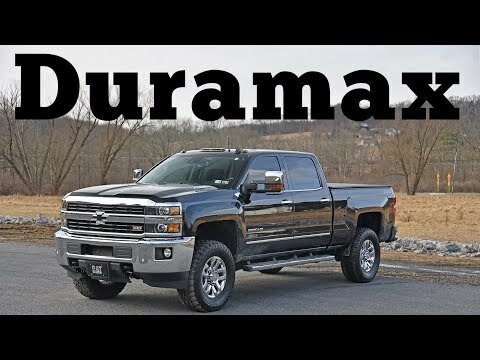 The pros and cons of the 2016 Chevy Silverado 2500 HD. I love that my truck is really tough. I love the way it looks. I believe that Chevy trucks are incredibly reliable and safe. The things I don't like are that the side mirrors are too big creating a blind spot. Also the back seat isn't so comfortable.